Aesthetic form and ornamental appearance, commonly described as designs, represent an important sales factor in many commercial sectors. 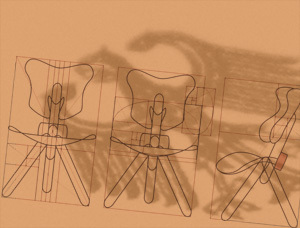 The concern to protect the design from imitation by third parties is therefore under­standable. A design registration offers such protection from unauthorised adoption of the design by a com­petitor. Thus a registration is of particular importance if the form or ornamental ap­pear­ance does not have a technical function so that a patent or utility model is not obtainable. As an alternative or in addition to a national design registration, design protection can be obtained for the whole of the EU by means of a single registration. The corresponding ap­plication is submitted to the Office of Harmonization in the Internal Market (OHIM) at which the German patent attorney is usually admitted as a European Design Attorney.